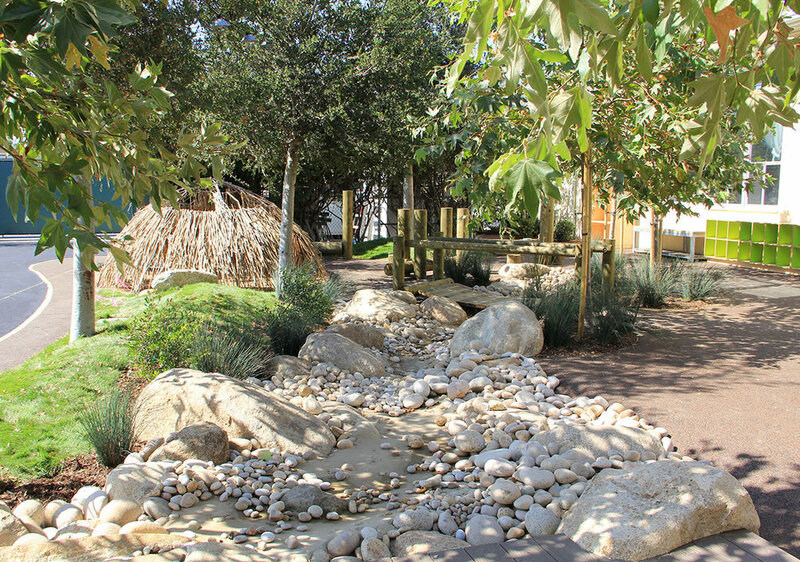 This renovation transformed an existing school into a wonderland of natural play spaces. Over thirty new native trees were planted to create activity areas, as well as special hideaways for the kids to enjoy. A focal point of the garden was a stone arroyo with a custom hand pump, designed to encourage free water play. A dedicated outdoor classroom, with a sculptural topiary covered teaching center and vegetable garden provided additional opportunities for outdoor learning.